Our resident brawler, Alex Cull, gets to grips with Tekken Tag Tournament 2. Twelve years ago next month, I fondly remember being transfixed to my television screen watching the beautiful FMV intro to Namco’s Tekken Tag Tournament on the fledgling PS2 – a game that perfectly summarised the franchise’s late 90s halcyon days. It marked the last of the iterations of the fluidly styled brawler to be designed in a more 2D-oriented style before the series was dramatically revamped for a new generation across instalments 4, 5 and 6. 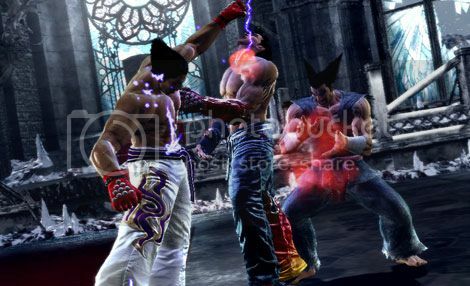 With Tekken Tag Tournament 2, one would expect to serve much a similar purpose to its much lauded predecessor; wrapping up all the loose ends of recent Tekkens, including a plentiful array of pugilists and enough game modes to keep you blistering your thumbs well into the wee hours. In many ways, it fulfils these expectations and then some. On booting up the game and selecting Arcade Mode – the first-stop for a single player offline fracas – you’re greeted by a bedazzling character selection screen that’s more than a little generous. From old school favourites Marshall Law, Yoshimitsu and Kazuya Mishima, to more recent additions to Tekken lore such as Middle Eastern belly dancer Zafina and the rather rotund Robert ‘Bob’ Richards. It’s all a bit overwhelming at first, with 49 characters to choose from (plus a further 10 to be available as downloadable content in the near future), it means you’re not going to be running out of brawling options for a long time to come. You’d better pray you’ve selected a character to suit you as you descend into the bowels of the tough-as-nails single player ‘Arcade’ mode. 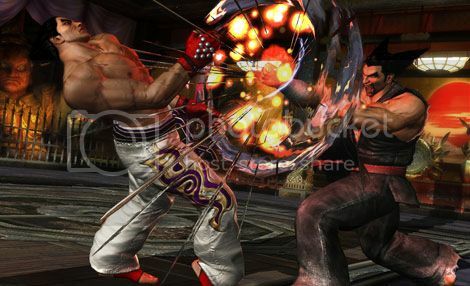 Tackling Tekken Tag 2 at any difficulty above ‘Easy’ is going to require a lot of hours spent in the dojo – or, in the case of TTT2, the rather ingenious Fight Lab which allows the player the chance to practice and master the game’s numerous intricacies to the point where you’re pulling off combos that won’t even allow your opponent the chance to take a breath. Sure, the learning curve may be a bit on the steep side, but you are given plenty of opportunities to train and come to grips with it. The fact that at the game's core, you’re still relying on the basic one button per limb control scheme helps to keep things relatively simple and intuitive, though it will take some work to master a character and learn those vital aerial combos. But I digress; back to Arcade Mode. It’s a fairly standard single player affair for a fighting game; you must defeat a series of 9 adversaries, with each contest growing ever more tricky. The final three matches, against some of the series’ primary antagonists – SPOILER ALERT! Jinpachi, Heihachi, Ogre and Unknown – are by far the most gruelling, but if you can muster the strength, and by strength I mean dexterity of digits, to defeat them, you’ll be rewarded with a brief video depicting your character’s climax of the tournament. These range from gloriously animated CGI epics to dainty watercolour depictions of sombre affairs, but they help to create a sense of depth and storyline to the experience. It can feel like a slightly meagre reward for all one’s effort to complete the mode – you have to wonder why, with such an expansive roster, some characters were not made to be unlockable for the sake of longevity and achievement. You can only assume it has to do with being able to take a copy of the game to a friend’s house with the full roster of characters pre-loaded on the disc. Which brings us nicely to the game’s multiplayer – surely the heart and soul of a good beat ‘em up. With the aforementioned host of playable characters at your disposal, plus a diverse selection of interactive stages that range from an oilrig on fire in the Northern Sea to a Dutch tulip festival, it’s easy to see how the game's versus mode could potentially see any issues of lifespan pummelled into oblivion. With the added bonus of numerous ways to fight, ranging from simple tag matches to 8-man team battles, plus the addition of taking your duo into the online arena and facing others from around the world, TTT2 has certainly got you covered in this department, too. Throw into the mix the option to fully customise characters and their outfits – should you feel the need to create your own dream team duo dressed head-to-toe in garbs of your choice – and you’ve got enough variety to keep things going indefinitely. Visually, while it’s not the most arresting or unique of titles, it still scans very nicely indeed. The characters’ clothes sway in the breeze or pick up dirt realistically and the backdrops are detailed and pretty enough – just look at the water effects on the fountain in the Italian stage or the colourful hustle bustle of the parade in the US level. While it lacks the impact of the visual acid trip that was March’s Street Fighter X Tekken crossover, it’s still a satisfyingly bloody affair.